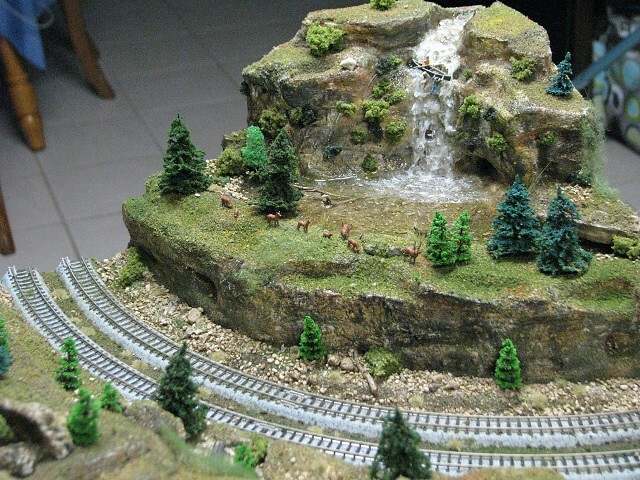 Description: BBMRA T-Trak Modules -N-Scale T-Trak module- Standard Corner: Darwin Falls. 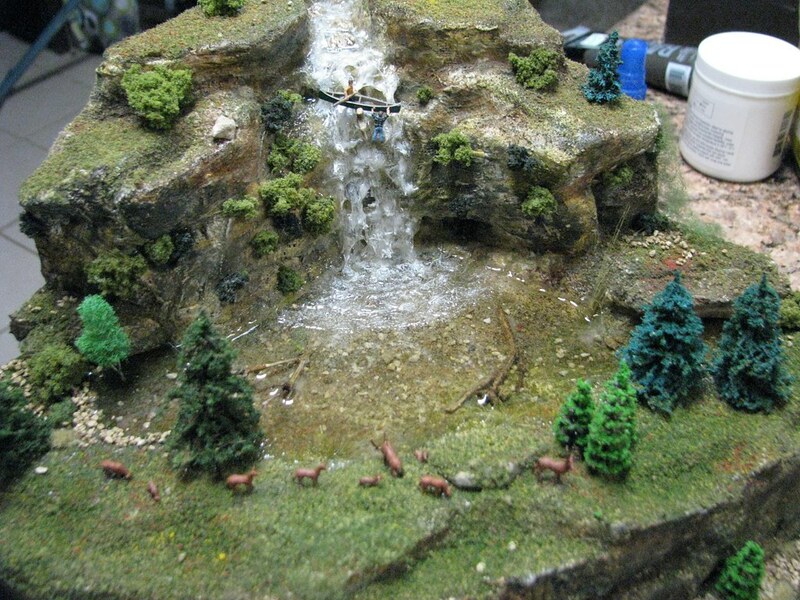 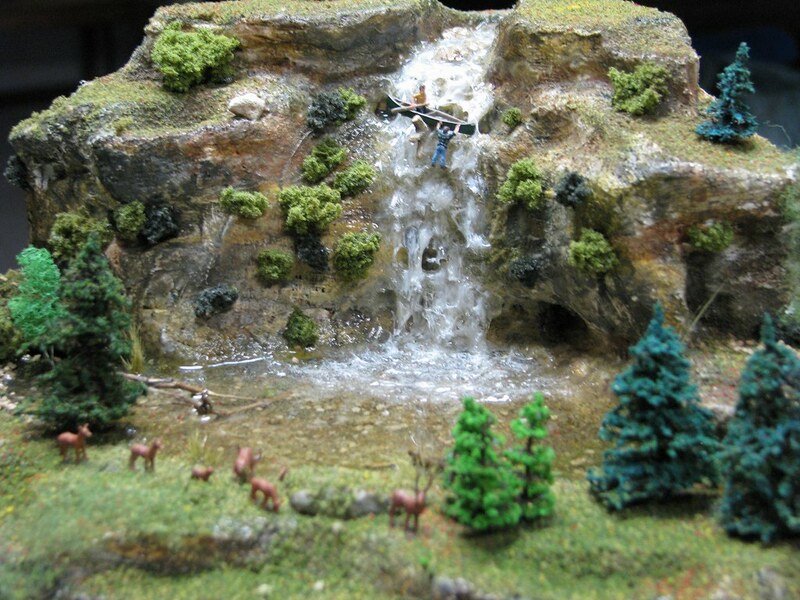 This is my latest attempt at creating Water and a waterfall. 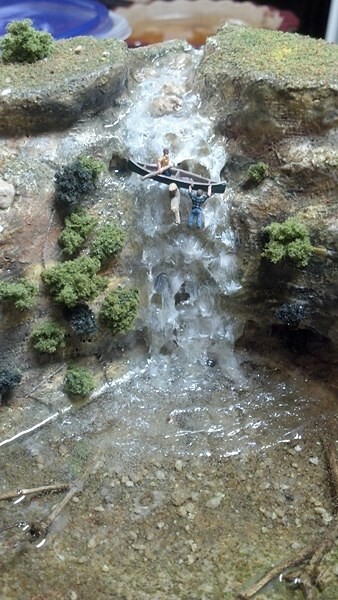 I added an overzealous set of canoers to give credence to the name!